Pasteur commented that if we could intervene in the antagonism observed between some bacteria, it would offer ‘perhaps the greatest hopes for therapeutics.’ Some Irish scientists were crucially involved in the eventual realization of these hopes. The earliest of these was John Tyndall, whose 1881 book, ‘Floating matter in the air in relation to putrefaction and infection,’ brought about general acceptance of Pasteur’s germ theory. Sir Almroth Wright, a TCD graduate, who discovered the first vaccine against typhoid fever, recruited Alexander Fleming to the London hospital where he discovered penicillin. This happened when Fleming was replicating an experiment originally carried out by Bigger, Boland and O’Meara in TCD. 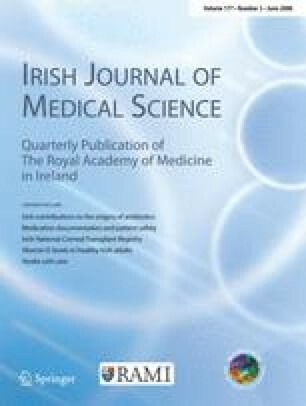 One of Fleming’s cultures was accidentally contaminated by a mould containing penicillin which came from the collection of Charles La Touche, an Irish mycologist who was researching whether cobwebs caused asthma in the same hospital, and who later taught in UCD. This is an expanded version of a lecture to the Royal Academy of Medicine in Ireland. Much of the author’s research on which it is based was published in Research Policy 29:679–710, (2000) and the Journal of the History of Medicine and Allied Sciences 59(3):441–462 (2004).